Shaun Cooper was one of the UK's most highly talented young boxers, who started his professional career in 1988 at Wolverhampton Civic against Paul Charters and went onto win on points. Shaun Cooper had 16 fights whilst a professional with a record of 16 wins and 0 losses. His last professional fight was against Eddie King at Chase Leisure Centre (Cannock) where he won the fight in the 3rd round by way of knock out. 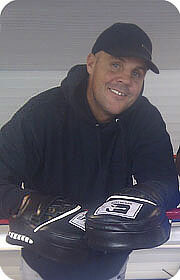 Shaun Cooper's professional career ended due to injuries and the lack of progressive fights and at the time Shaun needed to work in order to pay bills for his young up and coming family. In 2007 Shaun became a full time professional coach.